Scotty’s Contracting & Stone is “on track” when meeting the growing demand for high-quality aggregate and paving in the Hardin County, Kentucky, region. 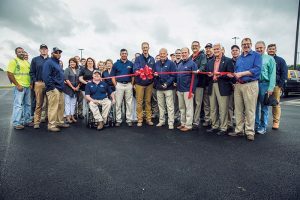 In May 2017, the company unveiled its new Vine Grove Stone Yard, a 65-acre plot that features a cost-effective rail unloading operation and an efficient aggregate stockpiling facility that feeds a new asphalt drum plant. 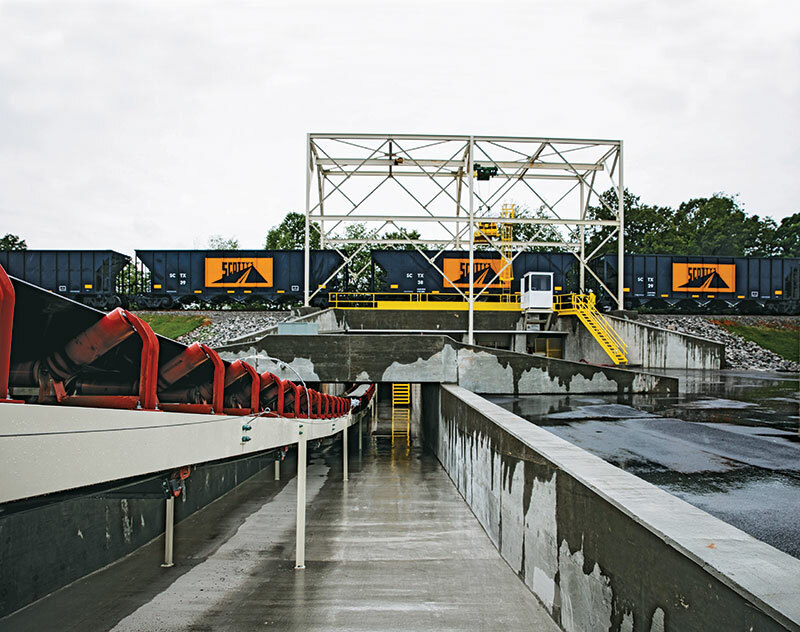 Allowing the company to nearly double its annual production output, the rail-unloading operation positions Scotty’s as a primary supplier of quality state-specification stone and paving services in the Elizabethtown and Fort Knox market area. Through low-cost rail transport, Scotty’s can better manage its inventory in these key markets while quickly responding to increasing demand. 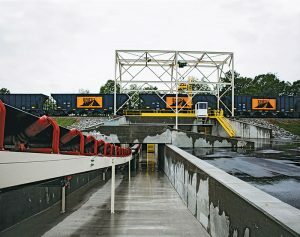 The new rail facility began with the refurbishing of an existing railroad spur along the Paducah & Louisville (P&L) Railway, allowing aggregate transport via railcars from the 500,000-tpy Grayson County Quarry to the new, strategically located and carefully designed stone yard more than 40 miles away. Scotty’s worked closely with the engineering team at Superior Industries to create a 2,000-tph unloading, conveying and stockpiling system. Founded in 1972, Superior engineers and manufactures a complete line of bulk material processing equipment, as well as material handling systems and components. 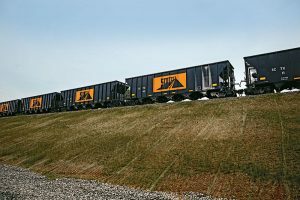 After exploring several suppliers, Scotty’s chose Superior Industries for its heavy-duty equipment and its expertise in designing customized railcar unloading systems, according to Law. The company broke ground on the stone yard in August 2016. By the following May, the facility was up and running. More than 3,000 tons of rock are transported daily on a train comprised of a locomotive, owned by P&L Railway, as well as 30 100-ton aluminum belly-dump railcars, purchased by Scotty’s. Scotty’s Contracting & Stone employees gather last May to celebrate the opening of the company’s Vine Grove Stone Yard. The yard covers 65 acres. Once used to haul coal, the railcars were cleaned, refurbished and painted. The Scotty’s logo is stenciled on each car, Law says, and a train acts as a series of rolling billboards as it travels through the company’s local market. The entire unloading and stockpiling system only requires a crew of two for operation. One by one, each railcar reaches a drive-over railcar unloader, which is positioned over a hopper. For peak efficiency, bottom-drop cars are used as they provide for faster unloading. With the push of a button, the five doors on the underbelly of each car discharge into the hopper. To ensure a continuous material flow, the hopper is emptied just as the next car starts to dump. Forty-five seconds are required to unload each 100-ton railcar, and it takes under three hours to unload an entire train – all without the use of a wheel loader or truck. From the hopper, material is fed to a 42-in. x 400-ft. stationary groundline conveyor that transports material to a 42-in. x 190-ft. TeleStacker conveyor for stockpiling. 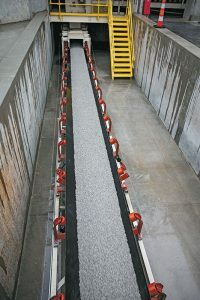 The telescoping radial stacking conveyor is operated via remote control, allowing the crew to easily move and adjust the stacker to stockpile a variety of specification products. With the Scotty’s logo appearing on each railcar, a train acts as a series of rolling billboards around the region. When designing the system, the higher-capacity TeleStacker conveyor stood out to Law. “With the 42-in. x 190-ft. unit, we can reach our required stockpile volumes while minimizing additional material handling,” he says. The telescoping radial stacker keeps material desegregated, Law adds. “With our remote control, we can easily raise and lower the stacker to minimize the drop of the material, and we can work the unit back and forth to eliminate segregation,” he says. 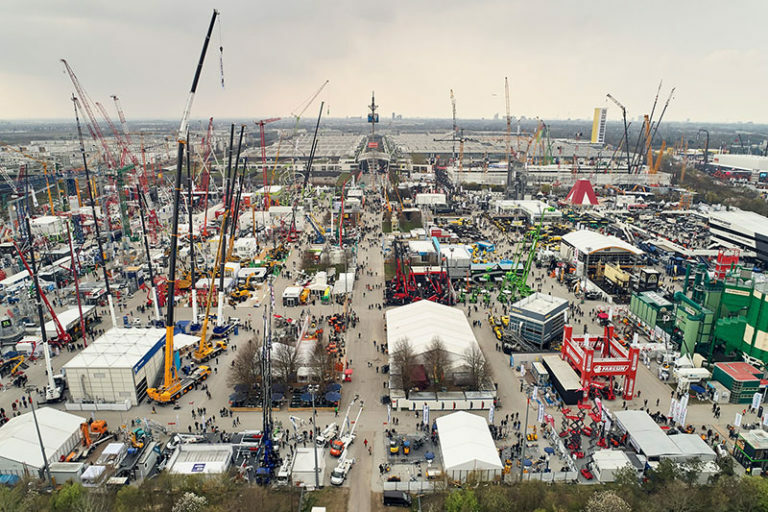 According to Superior, it’s designed and manufactured more than 1,000 telescopic radial stackers since its first model in 1997. “Today’s units have been updated over the years to increase automation capabilities and overall strength, performance and portability,” says Jason Adams, vice president of systems at Superior. Adams worked closely with Scotty’s throughout the design and build of the new stone yard. The 42-in. x 190-ft. TeleStacker allows Scotty’s to reach its required stockpile volumes while minimizing additional material handling. Adams also points to the use of heavy-duty support rollers, which are designed to safely guide and support the internal stinger conveyor as it travels in and out of the main frame. The rollers are designed to be load equalizing, each carrying an even amount of weight. This eliminates excessive and unsafe stress on each single roller. Although the 190-ft. radial stacking conveyor can make one continuous, high-volume stockpile, Scotty’s required eight or more different stockpiles – and it needed to maximize the volume of each pile, Adams says. 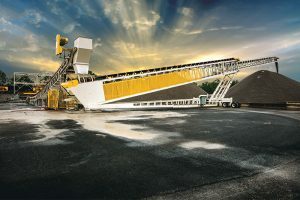 “Versus standard radial stackers, telescoping radial stackers can increase stockpile volumes by more than 30 percent,” he says. Adds Law: “Our main purpose for the yard is to feed our onsite asphalt plant, so we positioned the asphalt plant as close to the stockpiles as possible to minimize material handling. After determining the desired stockpile volumes required for each product type, the TeleStacker conveyor allowed Scotty’s to stockpile up to 8,000 tons of each product type, including manufactured sand and #4, #9 and #57 stone. 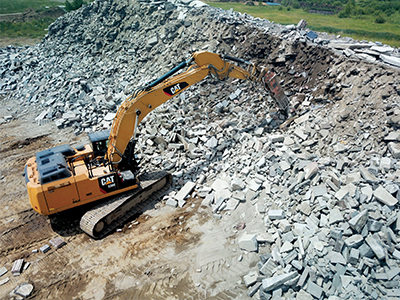 “Our base stone pile is at least 25,000 tons and covers a larger radius area, but in every case we are able to maximize stockpile volumes,” Law says. Carol Wasson is a veteran freelance writer for the aggregate and construction equipment industries.